Photo source Gooding & Co.
SANTA MONICA, Calif. (February 6, 2012) – Gooding and Company, the acclaimed auction house celebrated for selling the world’s most significant and valuable collector cars, is honored to announce its recent consignment of the Drendel Family Collection of 18 Porsches. Recognized as the world’s finest private collection of its kind, the Drendel Family Collection consists of both road and race cars spanning 25 years of Porsche history from 1973 – 1997. With 10 of the 18 lots being offered without reserve, the arrival of this extraordinary collection in Amelia Island offers collectors and Porsche enthusiasts around the world the opportunity to own a piece of Porsche’s winning motorsport heritage. In addition, the March auction marks the first time many of these historically-important racing stars will have ever been presented at auction. Gooding & Company has moved the start time of its Amelia Island Auction to 11 a.m. on Friday, March 9th to accommodate the extensive 18-car collection, as well as to accommodate the schedules of its guests at the daytime auction. “The result of well-developed connoisseurship and deep passion, Matthew Drendel built what has become the world’s most significant private collection of turbocharged Porsches,” says David Gooding, President and founder of Gooding & Company. “It’s a very rare occurrence when a refined, single-marque collection of high-quality road and race cars is offered to the public. A Passion for Porsche Matthew Drendel was attracted to Porsche automobiles from an early age. Although his personal racing successes were primarily associated with normally-aspirated 911 Cup cars, it was the legendary turbocharged Porsches that most interested him as a collector. His collection began with a single 930 road car and later expanded to the 18 magnificent cars it is today. 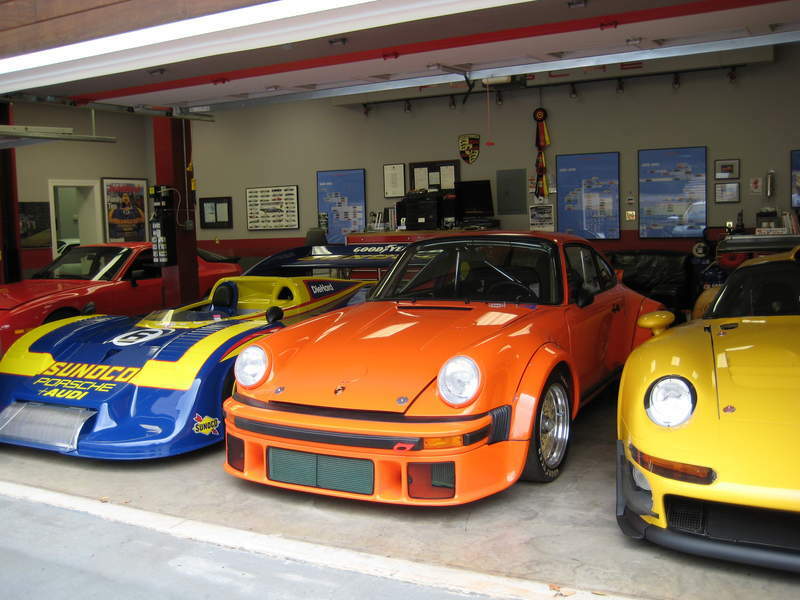 Heritage Motorwerks was founded by Porsche collector, Matthew Drendel. Four of Matthew Drendel’s Porsches were used in filming of the Porsche “Family Tree” video commercial for the Pananmera… the baby turbo, 962 Lowenbrau, the GT 1 and the 917-30 that Matt drove in the Porsche Panamera “Family Tree” commercial. “Matthew Drendel maintained a reputation for collecting the very best cars and, therefore, has always been respected in the Porsche community,” says Gooding & Company Specialist David Brynan. Matthew Clayton Drendel was 35 and died quickly of a stomach aneurysm on November 24, 2010. The Drendel family is highly regarded in the Porsche community and has contributed a great amount to the quality of life here. 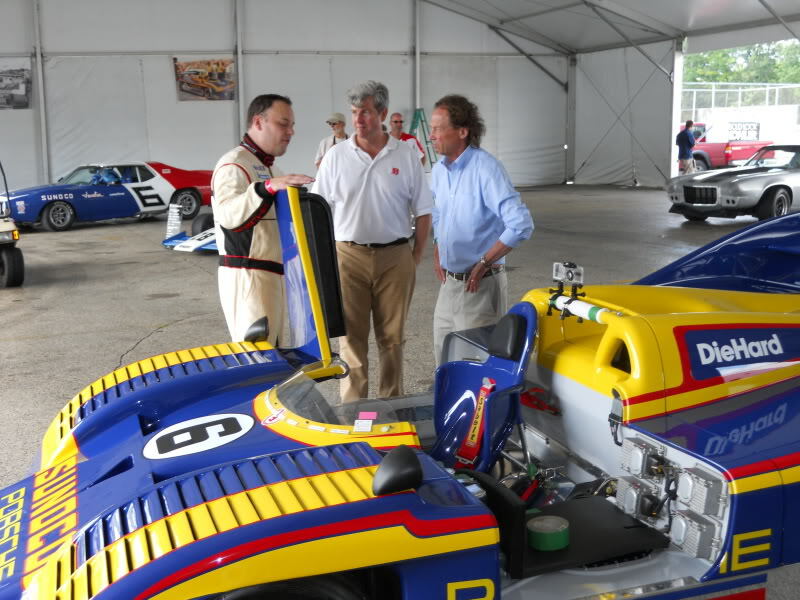 The Porsche 917 racing program was one of the most successful in the history of motor sport and the 973 917/30 Can-Am Spyder represents its pinnacle. With a 1,000 hp turbocharged flat-twelve, American racing champion Mark Donohue’s 917/30 was so dominant that the Can Am Challenge Cup was disbanded and the other manufacturers withdrew due to their inability to compete. 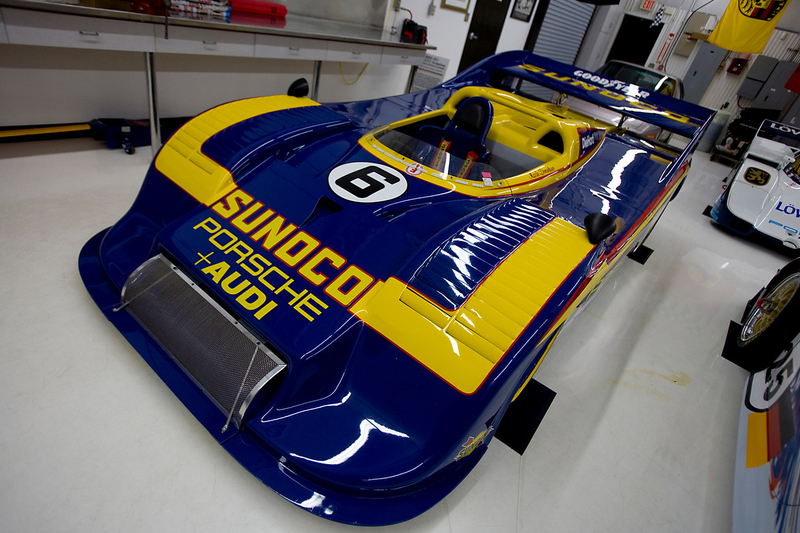 One of four examples completed at the Porsche factory, 004 was intended to be the 1974 Penske-Sunoco team car but was instead sold to Australian Porsche Importer Alan Hamilton. 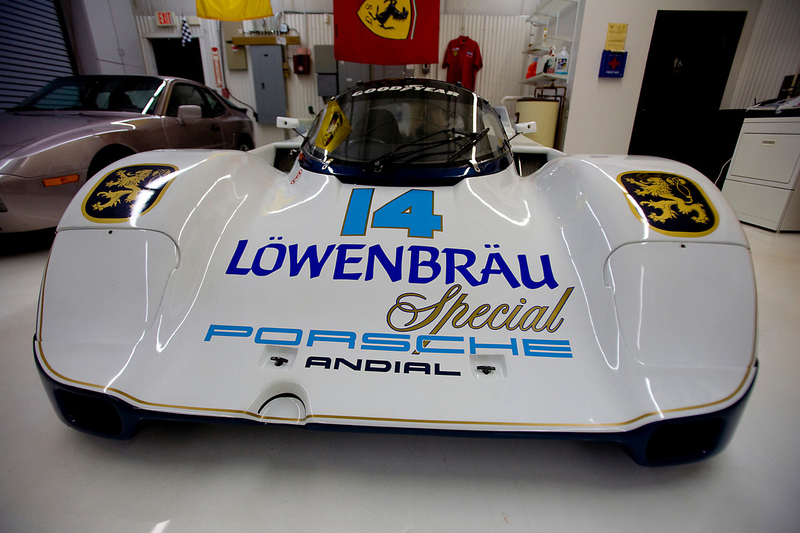 Later purchased by the Porsche factory, this car is now the centerpiece of the Drendel Family Collection. Meticulously restored and presented in the iconic Penske-Sunoco livery, this 917/30 has been raced at the Monterey Historics and has been displayed at the Amelia Island Concours d’Elegance and Rennsport Reunion. According to Gooding & Company specialists, this car is the finest example of the Porsche 962 and one of the most successful racing cars of its generation. With only two owners from new, this back-to-back 24 Hours of Daytona winner will be one of the Drendel Family Collection’s most significant offerings at the auction with its immediately recognizable Löwenbräu livery, list of legendary drivers, unrivalled racing record and superb documentation. 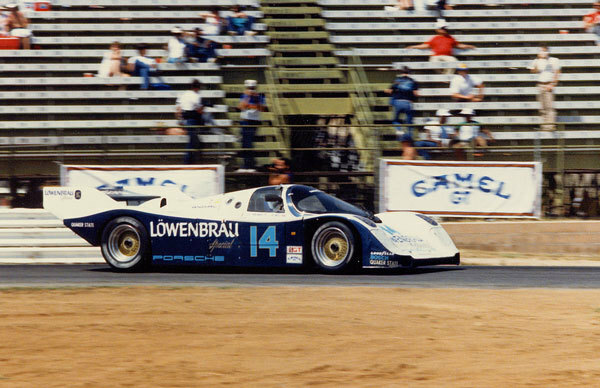 In 1984 Porsche provided the late Al Holbert this 962 to compete in the IMSA road racing series where it would go on to earn 15 overall wins from 1984 to 1986, this included a back to back Daytona 24 hour overall win in 1986 and 1987. 962-103 scored three Drivers Championships, three Team Championships and three Manufacturer Championships for Porsche! This was the first 962 chassis to score a win and is by far the most successful 962. With names like Derek Bell and Chip Robinson joining Al, it proved to be an unbeatable combination. The 956 and 962 are still today regarded as the most successful sports-cars in history, making this example the winningest sports-car in history. The Carrera RSR Turbo 2.14 represents a turning point in the history of competition Porsches when it introduced the use of turbocharged engines in production-based race cars. Used by the factory for development, this hand-built experimental 911 was campaigned as a Martini & Rossi Porsche Works entry in the 1974 season at Nürburgring, Imola and Zeltweg. Few racing cars of this caliber have remained so correct and untouched, making this car an extremely important piece of Porsche history. This 935, serial number 935-001, is the very first 935 ever made by Porsche. 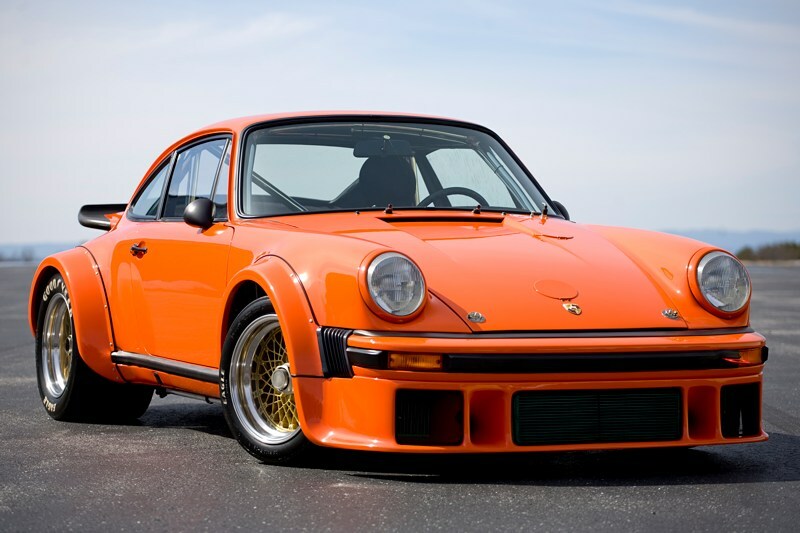 It was built on the very first production 911 Turbo chassis, 930 570 0001. Initially used for testing and development purposes, it was pressed into service near the end of the 1976 season in the Group 5 World Manufacturers Championship, as BMW was closing the gap with Porsche towards points in winning the championship. On its racing debut, 935-001 dominated the Six Hours of Watkins Glen, and went on to win the race overall. Following the triumphant success, “001” would go on to earn a second place finish at the Six Hours of Dijon, right behind 935-002. The result was at the end of 1976 was a Group 5 World Championship for Porsche. 935-001 is the only former, factory team 935/76 in the world in private ownership. 935-002 is now on display at the Porsche museum in Stuttgart, Germany. 935-001 launched what would become one of the most successful types of road racing sports cars ever. Porsche 935s dominated race tracks around the world for over a decade. Today, 935-001 remains in its original, unrestored state, exactly as it was when it was last raced in 1976. During its career, this Porsche achieved 11 overall wins and 19 podium finishes, as well as 2 IMSA GTP Drivers Championships and an IMSA GTP Manufacturers Championship. Along with its Holbert Racing sister car, 962-103, this 962 is one of the most significant 962s in history. 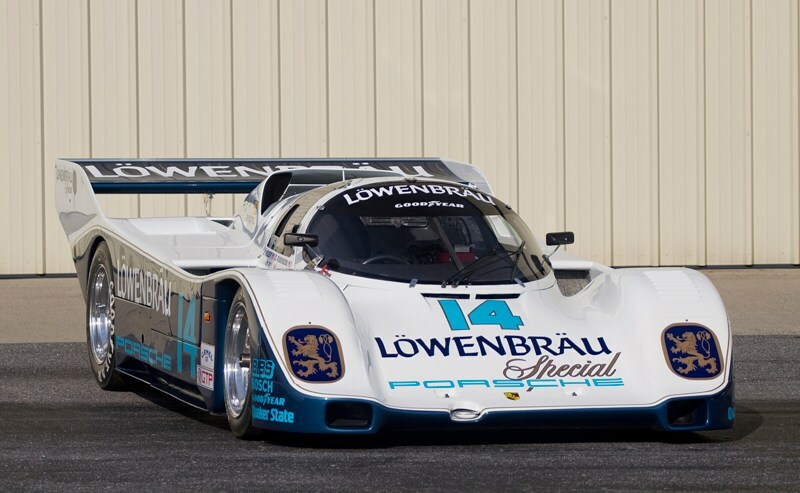 Fresh from restoration, 962- HR1 was displayed at RennSport Reunion IV in 2011. Chassis 993-GT1-004 was part of the family tree commercial filmed for the introduction of the Panamera. This rare factory team car – one of just four built – has competed at top events (Le Mans, Nürburgring and Laguna Seca) in the highest levels of international racing with known drivers behind its wheel. Later campaigned by Rohr Racing at Daytona and Harry Bytzek in the Canada GT Challenge Cup, GT1-004 has one of the most impressive racing records of any factory GT1. A restructuring of the rules as handed down by the FIA was largely responsible for the classes known as GT1 and GT2. While GT2 cars were based on production platforms, to call a GT1 anything other than a prototype would be to misconstrue the logic of effort. While a few road going versions of the Mercedes CLK-GTR and the Toyota GT-One were constructed, it was all done at face value. 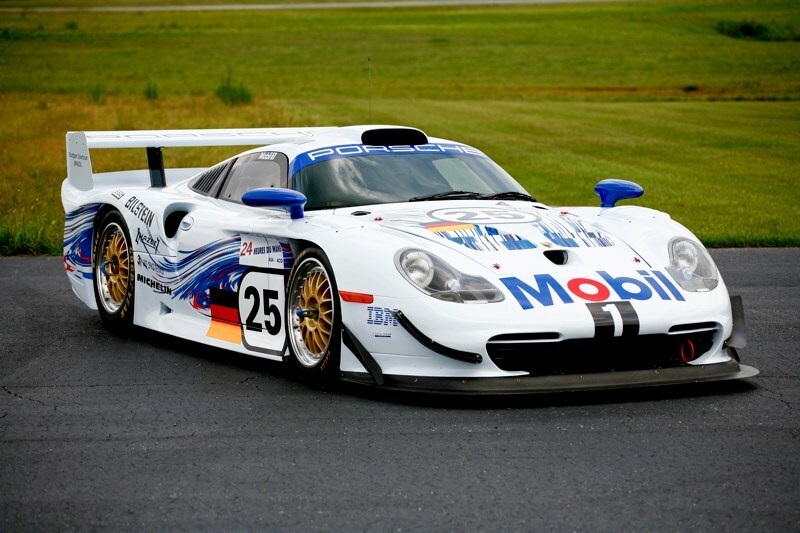 Only Porsche made a complete effort to adhere to the rules by making an actual run of GT1 road going production models. As Weissach was to learn for the 1997 and 1998 FIA GT seasons, no good deed goes unpunished, as their GT1 was a victim of questionable limitations on performance compared to the competition. Only at Le Mans, under the rules of the ACO, was the true potential of the GT1 clearly in evidence. The genesis behind the decision to build the original GT1 came as an answer to counter the successful road to race configuration of the McLaren F1 which won Le Mans overall in 1995. In reality, this was to be Norbert Singer’s first new real prototype to come from Weissach since the 956 in 1982. After the initial successful appearance of the Porsche GT1 at La Sarthe in 1996, ( 1st in class, 2nd overall ) McLaren would counter with a new car for the upcoming season. Norbert Singer developed the evolution version of the GT1, which was a considerable improvement over the previous edition. The FIA GT Championship debuted in 1997 and while Weissach entered a pair of GT1’s to contest the series, the major focus was preparing for Le Mans. GT1 evolution chassis 004 had it’s initial roll out at Weissach for the 1997 season in late March and immediately was used for testing prior to pre-qualifying for Le Mans in May. Wearing number 25 for the actual June race, the trio of Stuck, Wollek and Boutsen quickly established 004 as the car to beat for the overall win. However, in motorsport there is only one certainty and that is uncertainty. With eight hours remaining, Wollek spun and 004 was retired from the race. For the remainder of the 1997 FIA GT season 004 was entered for only two races. However, at Laguna Seca, a new star in sportscar racing was ignited as Allan McNish got the jump on the superior Mercedes squad and kept the Porsche badge in front until the first round of pit stops and a miscalculation knocked 004 out of first place. The duo of McNish and Kellners settled for a podium position of third overall. 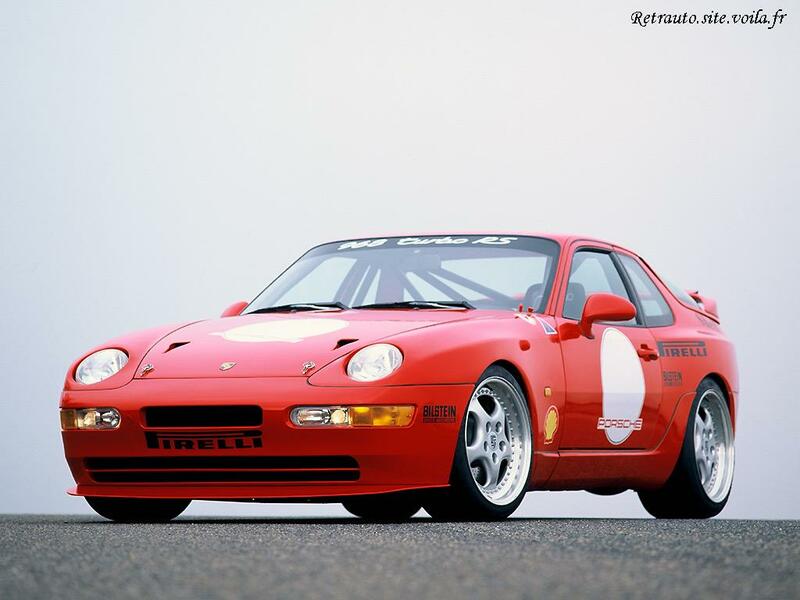 GT1 004 was returned to Weissach where it was used for extensive tire testing with Michelin in preparation for the 1998 season and a year long birthday party for Porsche’s 50th. GT1 004 was sold in 1998 and was campaigned successfully, retired from use and eventually sold in 2005 to a private collector. Three years later 004 was obtained by Matt Drendel and restored visually to the way it appeared at Le Mans in 1997. The three year run of werks GT1’s continue to be immensely popular with enthusiasts in the manner of models, books and published material. Porsche requested 004 to be on their stand at the New York Auto Show in 2009 and later that year 004 was part of the family tree commercial filmed for the introduction of the Panamera. The racing variant of the road-going 930, the 934 expanded on the success of the RSR, winning the European GT Championship as well as the TransAm Championship in North America. The second 934 constructed, this car was actively campaigned through the early 1980s, culminating in a first in class at the 1982 24 Hours of Le Mans. Only the second 934 of the 31 produced by Porsche, “930670155” has a wonderful story to tell. Competing successfully for seven consecutive seasons, this 934 has won more races and had more podium finishes than any other 934 in history. It would go on to earn both a Group 4 class win at the 1982 24 Hours of Le Mans. Powered by an air-cooled 3.0L, turbocharged, flat six, this example would go on to make an amazing 630hp! Born as a project of Porsche AG, to show that the front engined 924 was just as suitable for racing as their other models, the 924 Carrera GT Le Mans (924-003) was a remarkable success in so many ways. Credited for being the car that originally brought Derek Bell and the late Al Holbert together, this car was already off to a good start before there’s even a mention of its successful racing career. 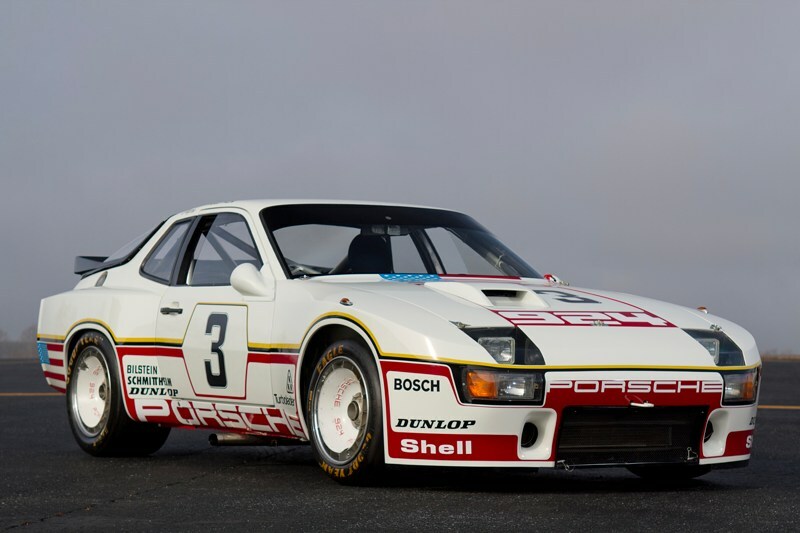 This 924 certainly proved its worth amongst others in the Porsche range, as it would go on to be a popular choice for several other private racing teams following the success of the Factory 924 Carrera GT Le Mans at the challenging, 24 Hours of Le Mans. In total, there were four of these cars produced, this is the only example in private hands, with the other three still belonging to Porsche today. All the way from Pompano Beach, Florida, this 911 GT2 Evolution cut its teeth racing for Champion Racing in the ‘Sunshine State’, where it earned everything from a GT1 class win at the 12 Hours of Sebring in 1996 to a second in class finish in 1997 at the grueling, 24 Hours of Daytona. Taking several other podium finishes throughout its racing career, this chassis, #393062, is one of the most successful 993 GT2s to ever compete thanks to an impressive list of endurance racing legends that piloted it during its career, including Hans Stuck, Thierry Boutsen and Bill Adam. This iteration of the (993) 911 GT2 is proof that evolution is very effective within the Porsche Motorsport department, as this GT2 Evolution produced 600hp, growing 150hp from the original “GT2” to make it competitive within the GT1 racing class. 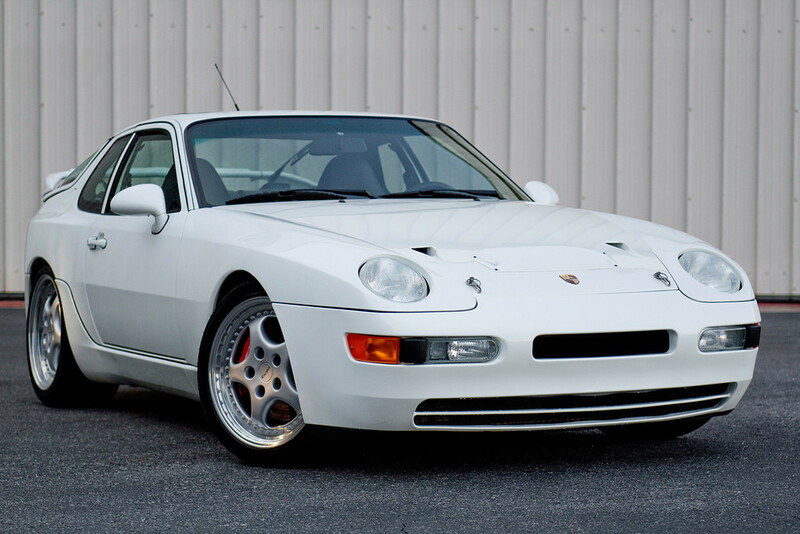 With 450 horsepower and nearly 500 foot pounds of torque this is anything but your typical 968. 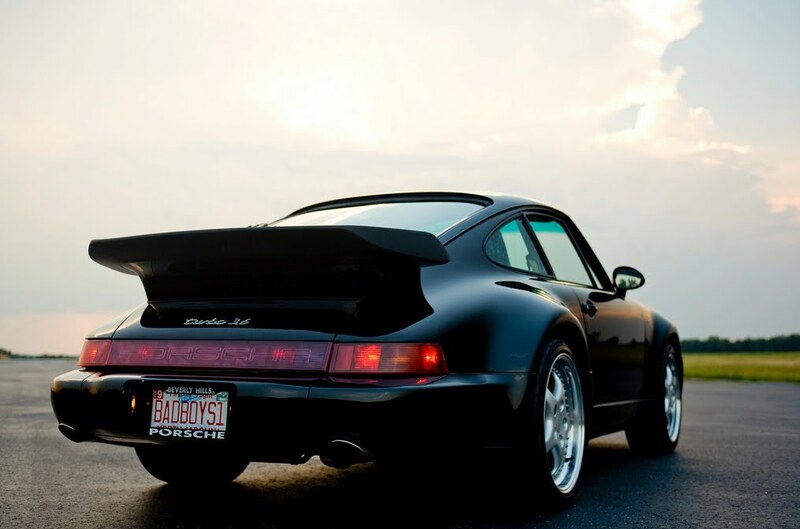 The 968 Turbo RS was a product of the men at Porsche Motorsport in Weissach, Germany. Featuring the familiar 3.0L engine block, but utilizing a SOHC cylinder head, the 968 Turbo RS was fitted with a large, KKK L41 Turbocharger that helped make it so competitive that the entire project was eventually abandoned because of what some might call ‘sibling rivalry’. The 968 Turbo RS had the basic ingredients to embarrass its older brother, the 911. With an extensive use of Carbon Fiber and TAG engine management, this 968 proved to be a cutting edge weapon within its career. This particular example is undoubtedly the most desirable of the four produced, as it’s the prototype chassis and is the only example to be raced during the 24 Hours of Le Mans in 1994. The 964 chassis 911 Turbo 3.6 marks the end of an era for Porsche, as it was the end of the single-turbo, rear-wheel driven 911 Turbos, making it especially prominent amongst discerning Porschephiles. This particular example is especially significant as it is the exact car used in the popular film “Bad Boys”, starring Will Smith, Martin Lawrence and Tea Leoni. Underneath this 944’s relatively unassuming exterior lurks a beast. The 944 Turbo Cup, or “944 Weissach Turbo” as the factory would call them, were gifted with all the best secrets from Porsche Motorsport. Featuring everything from lightweight body panels to significant suspension and chassis modifications, the 944 Turbo Cup is already off to a good start before you even mention the significant power increase over the standard model. 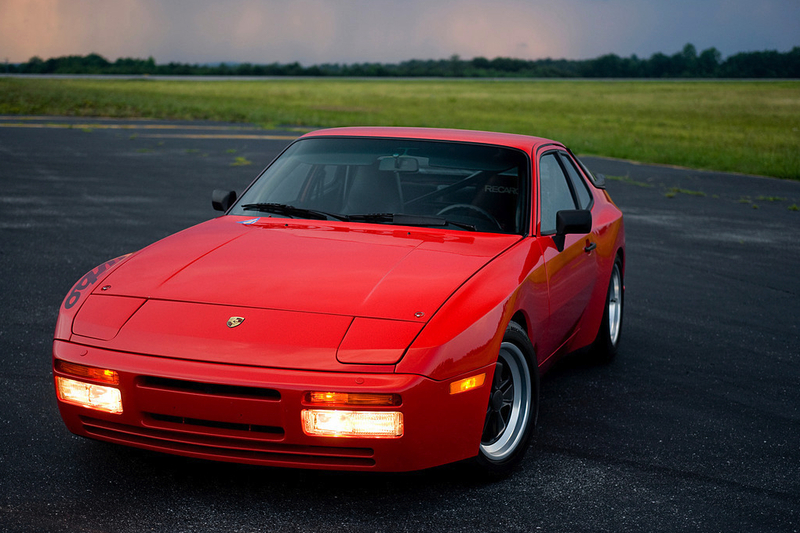 Shedding over 400lbs from a showroom 944 Turbo, the Turbo Cup could now accelerate to 60mph in under 5 seconds! A frequenter of victory lane, this chassis would go onto be highly successful during its racing career even at one point earning six consecutive wins while competing in the Firehawk endurance showroom stock series. Since its retirement from racing, it was given a FULL ground up restoration by the experts at Rennsport Porsche in Louisiana, and now enjoys its life as a true race car for the street! If you are thinking this is your typical 968 Turbo S, think again. 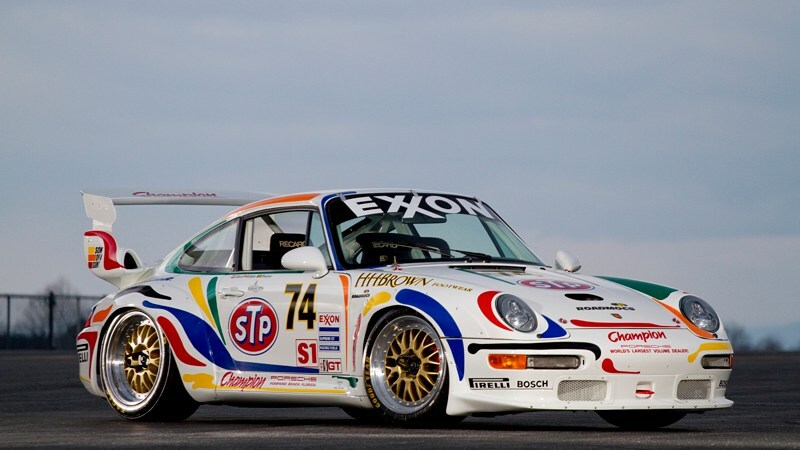 Mr. Lloyd Hawkins, then owner of the prototype 968 Turbo RS s/n 820065 and the owner of Rennsport Porsche in Louisiana wanted nothing less than a road going version of his 968 Turbo RS prototype. In collaboration with Porsche Motorsport North America and Porsche Motorsport in Germany, the trio of experts went to work on Mr. Hawkins wish. When they were finished, they created a true one off beast! If ever there was a “Wolf in Sheep’s clothing”, this is it. Able to produce over 500 horsepower at the wheels from it’s 3.0 liter 4 cylinder engine at 26 psi or about 1.75 bar, with a quick change to racing “slick tires”, this car would be at home on any race track, or by simply switching back to “street tires”, you could set the cruise control on for a long journey down the interstate. While the project was no doubt expensive, costing over $200,000 dollars and over 1800 man hours to complete, the project was a huge success! NO detail was overlooked. Carrillo “H-Beam” connecting rods were used, along with Mahle pistons, an actual 968 Turbo RS 3.0 liter racing engine block, ARP studs, three angle valve cuts, “O” ringed heads, stainless steel brake lines, 964 Turbo S brakes with ABS, adjustable coil over springs with Bilstein shocks, adjustable sway bars, carbon fiber clutch, 968 Turbo RS G44/01 transmission with limited slip differential, and that is just to name a few, all the correct parts to go racing with are present and accounted for. Inside the car however, it features many comfort amenities, such as heated leather Porsche sport seats, Porsche/Alpine Hi-Fi stereo system with 6 disc changer, power steering, front airbags, rear foldable seats, full lightweight carpet (without sound deadening material) throughout, air conditioning, removable/tilting sunroof, power windows, power rear window wiper and even a fully functioning adjustable rear wing to add or remove downforce at the rear of the car as needed. 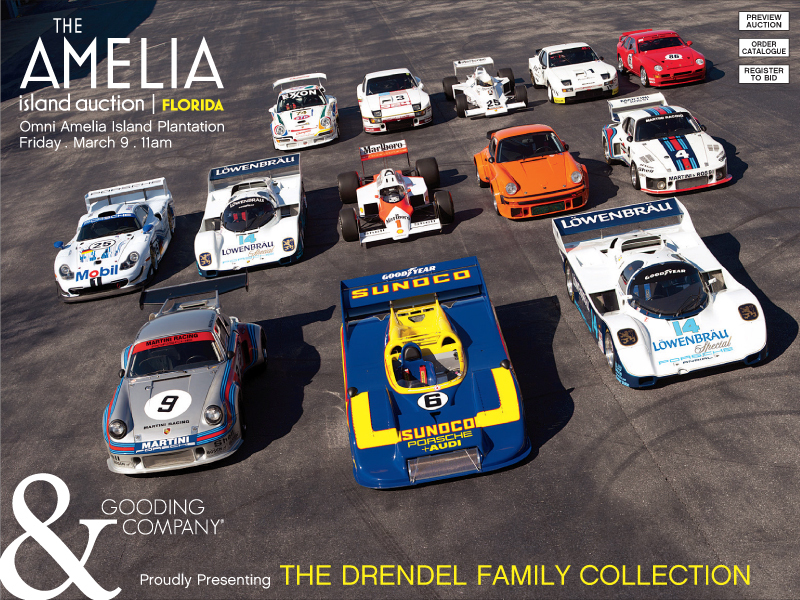 Gooding & Company will be conducting its annual Amelia Island Auction on March 9, 2012 at 11 a.m., at the Racquet Park located at the Omni Amelia Island Plantation at 6800 First Coast Highway in Amelia Island, one mile south of the Amelia Island Parkway. Guests may preview the cars on Thursday, March 8th from 9 a.m. to 6 p.m., and Friday, March 9th from 9 a.m. to 11 a.m.
An auction catalogue for $75 admits two to the viewing and auction. General admission to the viewing and auction can be purchased at the tent for $30 per person. Gooding & Company, internationally celebrated for its world-class automotive auctions, provides unparalleled service in the collector car market, offering a wide range of services including private and estate sales, appraisals and collection management. In the past two years, Gooding & Company has realized the most prestigious automotive records in the world for a Car Sold at Auction with the iconic 1957 Ferrari 250 Testa Rossa Prototype at $16.39 million, an American Car at Auction with the 1931 Whittell Coupe Duesenberg Model J at $10.34 million, and the undisclosed private treaty sale of the world’s Most Valuable Car with the 1936 Bugatti Type 57SC Atlantic. virtual auction guide is published via Gooding & Company’s IAC award-winning iPhone and iPad app. For additional vehicle information and up-to-the-minute results, follow Gooding & Company on Facebook and Twitter @GoodingCompany. Renowned for its annual standing as the official auction house for the Pebble Beach Concours d’Elegance, Gooding & Company will return to Pebble Beach, California on August 18 & 19, 2012.